Repairing your copiers and printers fast and on the first call. Copiers and printers are essential for operating a successful business. Managing such office equipment is difficult, tedious, and time consuming. Plus, maintaining equipment in good working order and fixing anything that breaks requires training, knowledge, and experience. And, let’s be honest, these are machines with many moving parts – they do break down and have parts that do wear out. It’s just a fact of office life. Preventative Maintenance – We will inspect and proactively maintain all equipment to minimize equipment failure and maximize uptime. Fast Service – We will respond on-site to local emergency service calls within an average of 5 hours. In fact, half of all our service calls have been "responded to and completed" in under 5 hours. Additionally, around 86% of our services calls are resolved on the first visit. Free Loaner – While infrequent, when equipment doesn’t perform to our standard, we will provide a loaner until a permanent replacement is installed. Equipment Replacement – If we aren’t able to maintain your equipment in good working order, we will replace the equipment at no charge. 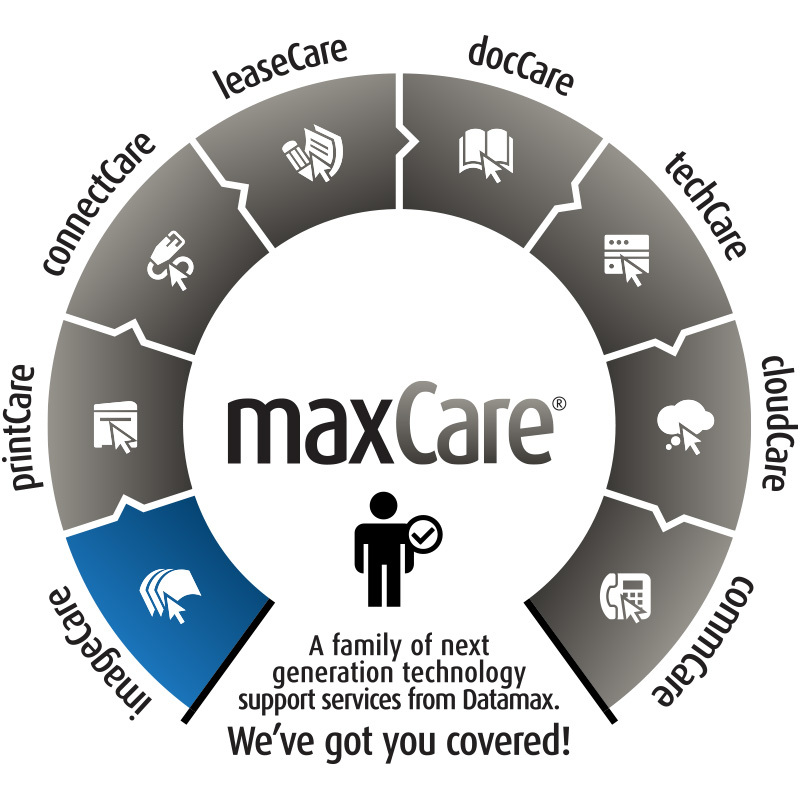 Lease Upgrade Option – You can upgrade Datamax-leased equipment for a similar or larger capacity model without penalty. Total Satisfaction – If you aren’t completely satisfied with your equipment’s performance, you have the ability to cancel the agreement without penalty. Five-Year Written Agreement – Our programs are guaranteed for five years – in writing – for your total satisfaction. We’re local – and that has advantages. That means we don’t have to check with a centrally-located partner two time zones away for how to repair your printer or copier. We do what needs to be done quickly. Our commitment is to make you a Datamax Raving Fan every step of the way. And we’ve got the data that says we’re good at doing that. Since 2012, when asking our clients “how likely they would recommend Datamax to a friend or colleague,” we have maintained a 9.7 average score (on a scale of 1 to 10). And for the same time, that has equated to an NPS rating of 92.2. This Net Promoter Score® is world class! World class local service. That’s the Datamax Difference. For 2017, Datamax is the only independent dealer / service provider in Little Rock to achieve ATSP—Canon’s highest standard for service training certification.